If you want to install a Tecno update using recovery – download the official update, reboot your phone or tablet into recovery mode and click “Install update from SD card”. 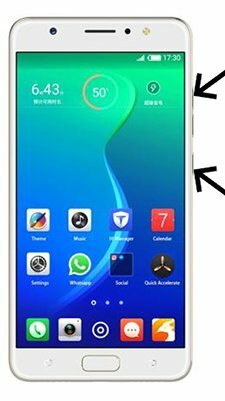 To install Tecno update with Fastboot – download and install drivers and ADB&Fastboot, download official firmware and flash it by instruction. Hi! There is no Android 6 Marshmallow update for Tecno Phantom 5. Hi! There is no Android Lollipop or Marshmallow update for Tecno Y2. Hi! There is no Android 6 Marshmallow update for Tecno R7. Hello kindly assist in upgrading my Techno P7 to 6.0. Thank you. Hi! There is no Android Marshmallow update for Tecno P7. my bank app requires android os10, and my phone is tecnowx3p. what should i do? Hi! What is the name of your bank app? What is full model of your mobile device? Android OS 10 does not exist. Hi! Unfortunately there is no updates for Tecno Y4. Hi! Unfortunately there is no Android 8 Oreo update for Tecno Camon I. For your PP7E-DLA1 the latest Android version is 5.1, so we only can wait for it.